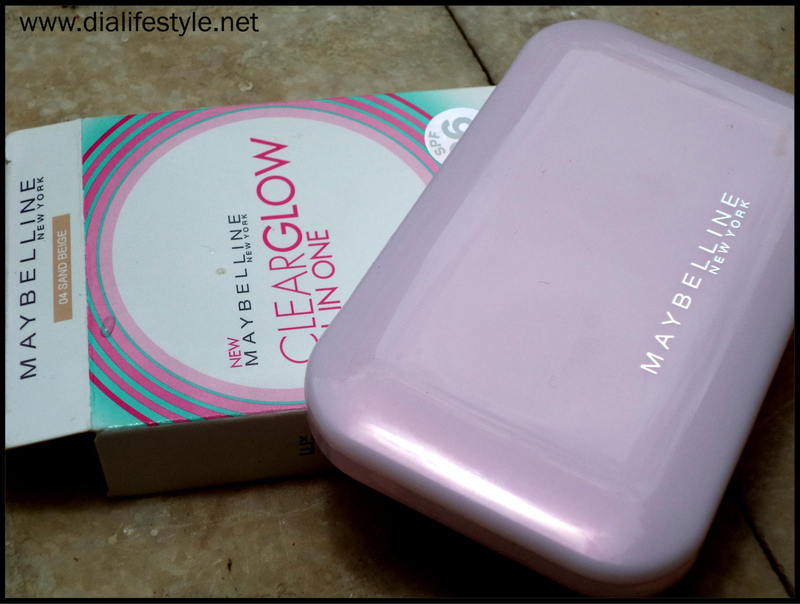 After my last review on Maybelline BB Stick, here I am with another product review on a new addition to my make-up kit. 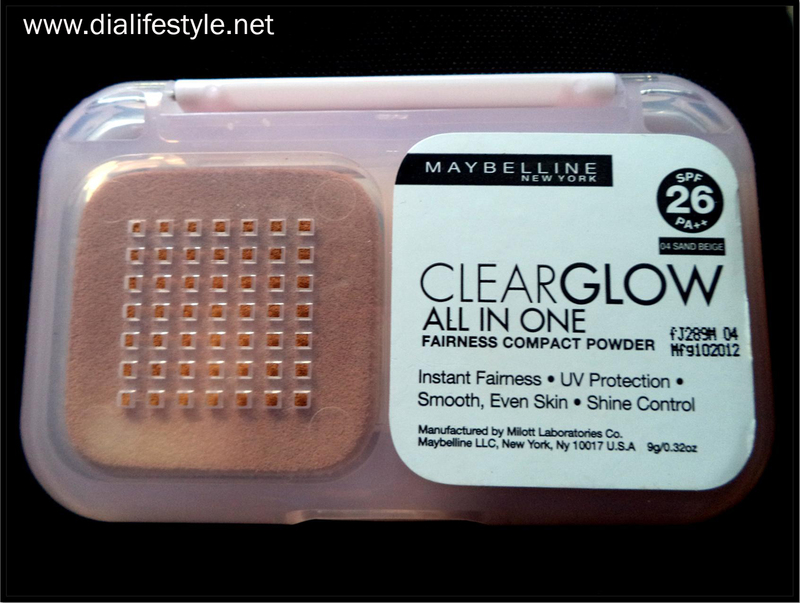 It is the Maybelline Clear Glow All In One Fairness Compact Powder. BB stick was great but it had a few disadvantages as well. You can read the empty-bottle review here. This compact, according to me is a much better substitute, especially when it comes to skin color. This product promises to turn on the light of skin that looks bright, visibly fair and shine free. It is infused with Pro Vitamin C, instantly illuminating skin’s appearance, revealing a healthy, fair glow. It contains SPF 26 PA++ which prevents the skin from darkening. It’s ultra fine, lightweight powders blend easily giving optimum coverage to erase spot appearance for smooth, even skin. Blend of water and sebum repellent powders keep skin shine free, perfectly matte and fresh. It comes in a rectangular lilac box with two sections inside- one for the compact and another for the sponge (which is placed on a perforated base). The quantity seems good enough to last at least a month on regular usage. It has a mirror on the inside. You can carry this in your purse for a quick touch-up. The best part about this product is that it comes in 5 different shades. Therefore you can have the perfect shade that matches with your skin tone. I opted for the shade “Sand Beige”. 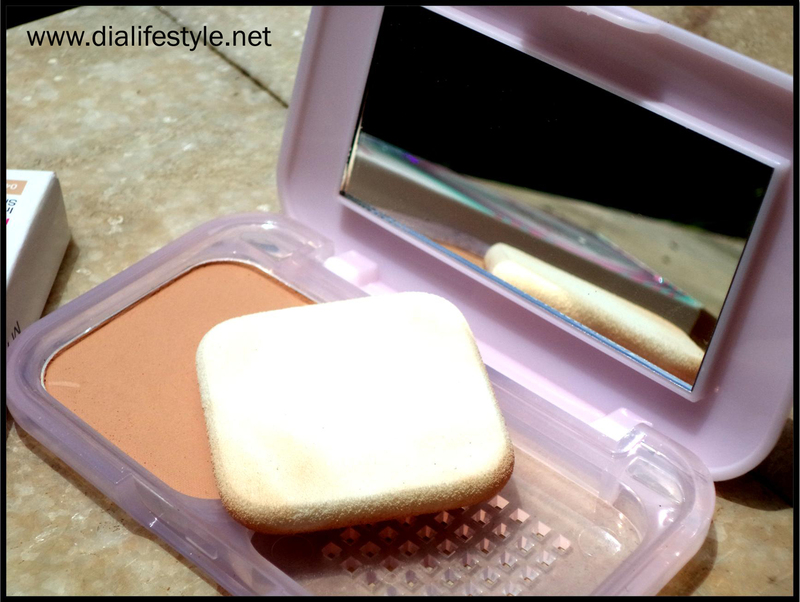 The compact can be dabbed on as a powder and it can also be used with a wet sponge as a concealer. It is priced at Rs 175. But the new stock has its price slightly raised. It does not give a very flawless effect used alone if you have dark spots. But used with a concealer or a BB stick gives great results. Moreover, it has a tendency to make the skin appear dry. So for the healthy glow, I need a BB stick base. It’s only been a few days since I used it, but I am liking it. Works really well in the humid weather and keeps my skin shine free. Do post your comments and share your experiences with this product. Stay stylish and keep smiling.